Silcoates is a happy school in a beautiful setting, where children and adults work together to be the best that they can be. Our aim is to inspire individuals who, by the time they leave Silcoates; are happy, confident and articulate young men and women; effective and independent learners; possess the resilience, knowledge and skills to succeed and thrive during the next stage of their lives. Along with many other schools, we help students achieve examination results that they can be proud of. However, celebrating the individual and equipping them for life is what makes us Silcoates. The Silcoates Diploma and excellent staff/student relationships help our students take ownership of their learning; with small class sizes and a wide and varied curriculum, our students leave us with outstanding communication skills and great confidence. We believe that challenge is essential for effective learning. Our Learning Support department ensures that any pupils with specific learning needs are supported and given the confidence to succeed. Pupils in Years 7 and 8, enjoy a flexible curriculum. They have the opportunity to do drama, through English, explore the practical applications of Maths and enjoy learning about Science through experimentation. They are encouraged to express themselves, through the creative arts, and the study of languages, humanities and Physical Education further support the development of them as an individual. These studies build the foundations for learning and separate sciences are introduced in Year 9. At GCSE, in Year 10, pupils take on a suite of nine challenging options, including IGCSEs. Maths and English are compulsory and pupils are advised to opt for a language and at least one science subject. There is also a wide range of optional subjects; with pupils selecting six from Art, Biology, Business Studies, Chemistry, Computer Science, Food Preparation and Nutrition, French, Geography, German, History, Music, PE, Physics, Product Design and Religious Studies. Latin and Further Mathematics are offered as extra GCSE subjects to some pupils. 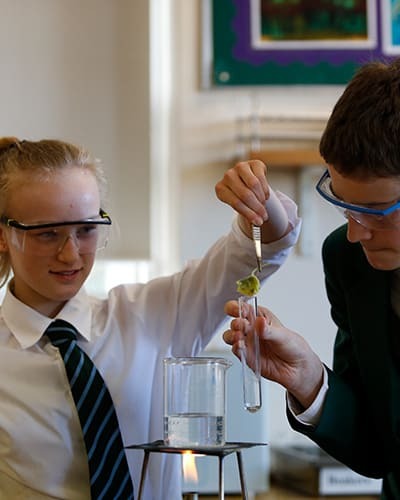 Pupils in the Senior School belong, predominantly, to two groups; a tutor group (form) and a teaching group. In Years 7 to 9, there are usually three teaching groups which are streamed according to academic ability. We strongly believe that pupils benefit from teaching tailored to their learning needs, and that they make better progress when taught in groups where pupils’ academic needs are similar. Maths is set separately throughout Years 7 to 11, while English is taught in the teaching groups at Key Stage 3 but set from Year 10. For Years 7 to 9, there is one top stream (A1) and two parallel streams below (A2 and A3). 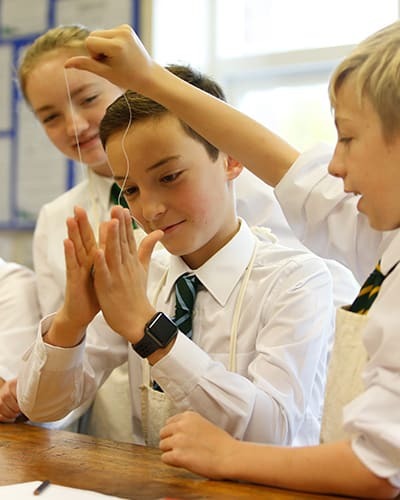 Junior pupils entering Year 7 from within the Silcoates system are streamed on their entrance examination and academic performance throughout the Junior School. Pupils joining Silcoates in Year 7 are streamed on the equivalent entrance examination and the report received from their Junior School.